The original name BGO arose from the game bingo. The birth of this site was preceded by the many years of successful work of the portal xbingo, where many fans of this gambling were gathering. 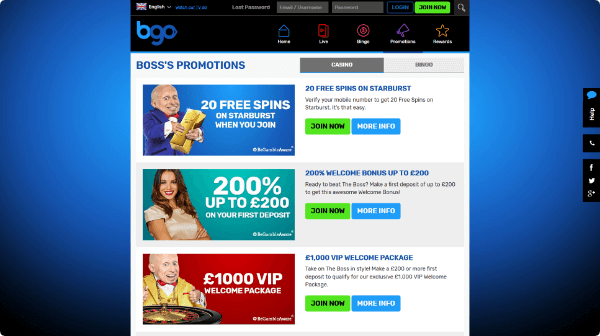 Today, BGO offers customers not only a bingo hall, but also an excellent online casino, including a section with live games. It will be discussed later in the review. Advertising banners depict a bald millionaire-short man, surrounded by long-legged beauties, impressive guards and obliging waiters. He wears a gold pendant with the BGO logo on the neck. You will meet him on different pages of the website, so immediately get used to the colorful appearance of the character. In general, the design makes a good impression with a bright color scheme, well thought out menu structure and a lot of useful information. 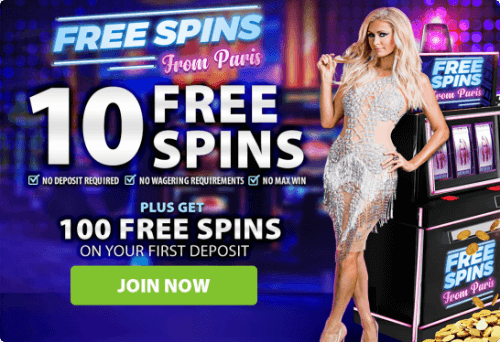 BGO Casino offers all new players a 10 Free Spins from Paris + Get 100 Free Spins on Your First Deposit! Canadian players can play the free spins on the welcome bonus on the selection of these Playtech slots: Wild Beats, Tiki Paradise, Jekyll & Hyde and Jungle Trouble. And if you’d rather, you can even choose to bag yourself Free Golden Chips with your first deposit instead. Use Golden Chips to play The Boss’ exciting Live Casino games. *18+. New customers only. 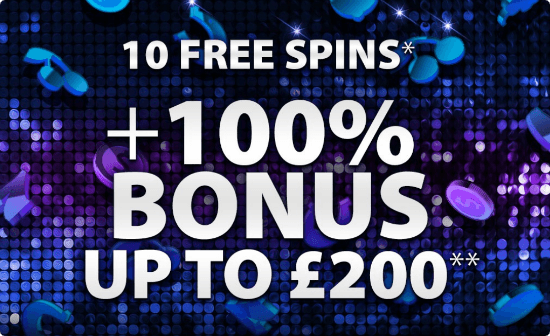 100% deposit match up to £300. Available on selected Games only. 7-day expiry on Bonus. 40x wagering (max bet $5) before Bonus Balance can be withdrawn. Wagering is with real money first. Game contribution weightings apply to wagering requirements. $10 min deposit + 2.5% fee (min 75c). Not available using Neteller or Skrill. Cash balance withdrawable anytime + $3.75 fee. Full T&C apply. The access is denied for Belgium, Bulgaria, Hungary, Hong Kong, Greece, Denmark, Israel, Spain, Italy, Cyprus, Netherlands, Portugal, Romania, Russian Federation, USA, Turkey, France, Switzerland, Estonia. BGO Casino offers an excellent selection of games. They are divided into the following categories: Blackjack, Roulette, Baccarat, Poker, Video poker, Slots, other games. The most popular games in BGO casinos today are: Roulette with Hot Streak Bonus, Single Blackjack High Limit, Blackjack with Hot Streak Bonus, 100 Hand Joker Wild, Roulette Master, Gonzo's Quest. 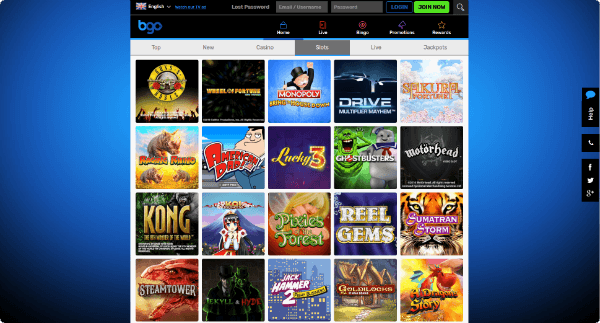 BGO Casino provides a number of games with a lot of units that are conveniently located and can be launched from the main page. The casino for the most part emphasizes board games and video poker. It’s rather important that anyone can install the BGO casino software on their smartphone or tablet. The mobile application is compatible with Android, iOS and other operating systems. If there are questions of any complexity, each client can always contact the BGO casino support service, which operates from 08:30 to midnight. You can contact specialists using Live Chat, or by writing an e-mail to: [email protected]. You can put your money on your deposit with PayPal, Maestro, Ukash, as well as Visa / MasterCard. The minimum amount that can be paid is € 10, and the minimum amount for withdrawal is € 20. How to withdraw the winnings from BGO Casino? Waiting period: 12-48 hours; Electronic wallets: 0-24 hours; Credit / Debit Card: 2-5 days; Bank account: 24-72 hours. So, how to get account verification (account verification by the casino security service)? Due to regulatory requirements to verify the identity of the player, the casino BGO may ask the user to provide certain documents. The player should know that if the BGO casino is unable to complete the verification process, the player's access to the account and the ability to transfer may be restricted or the account may be frozen. After successful completion of the account verification process, these restrictions are removed. Document with the photo: the casino requires a valid identity document with a photo: it can be a passport, a driver's license, a national identity card or any other form of official ID that has been signed by the player. displays: the full name of the player, his address, the date of issue of the document and the name or title of the issuer and / or its logo. The Company reserves the right to request additional documents, including notarized documents. The issue of security in the casino BGO is on the first place. All personal information of the client is protected with modern encryption methods. And the random number generator is regularly inspected by independent auditors. BGO is owned by Mandalay Gaming Holdings Ltd and licensed in the Isle of Man.